Selecting a frame is a very personal decision. Our frame stylists and trained fashion consultants will help you select the right frame for your facial shape, skin tone, and hair color. With over 2000 frames to choose from, including many designer lines, there us no need to ever compromise on quality, service or price. 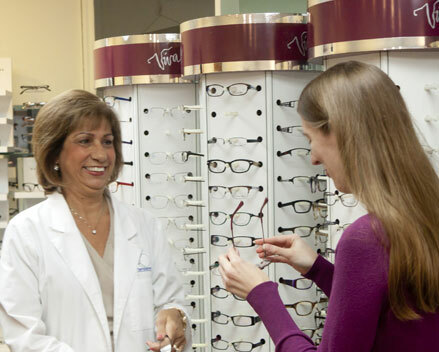 You'll receive a guarantee against breakage for the life of your prescription lenses and a one year unconditional breakage guarantee on your frames.